These days, it feels like there is always some Star Wars news to celebrate. And this spring, all the news will be about the smuggler-with-a-heart-of-gold, Han Solo. While we already know how his story ends (and Ben, how could you??) we’re going back to the beginning with a stand-alone film all about the pilot, appropriately titled Solo. It’s a stand-alone film in the same vein as 2016’s Rogue One and, with its release date inching closer and closer, it’s time we got a better look at the film. Yes, there have already been Solo trailers, stills, and pictures. But this may be the last trailer before the film’s premiere. We know a little bit about what to expect in the new movie, and this trailer clues us in on a little bit more: Young Han Solo is trying to prove himself, and to do so, he gets tangled up with some smugglers — something he’ll become himself one day. Also, EMILIA CLARKE BEING A BADASS! 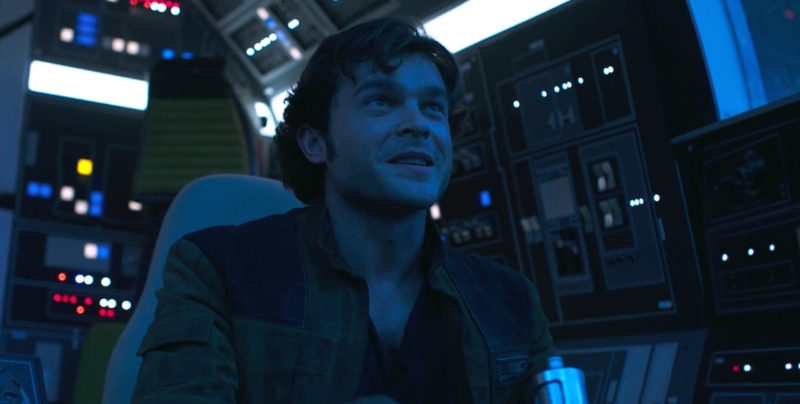 Solo is directed by Ron Howard (after the OG Solo directors, Phil Lord and Chris Miller left the project) and stars Alden Ehrenreich as Han Solo himself. We’re also pretty stoked to see Clarke, Woody Harrelson, and Phoebe Waller-Bridge, the latter who is playing the saga’s first *female* droid. However, it may not even be a stretch to say that Donald Glover as Lando Calrissian is the most exciting casting choice of all, and we may actually hold our breaths during each one of his scenes. Solo comes to a theater near you on May 25th, meaning your Memorial Day plans are set.